We believe that regular attention and exercise tailored to an individual dog’s needs are paramount to a happy dog. To promote this philosophy, we offer customized programs which incorporate dog running, dog walking, and pet sitting when you are away at work or on vacation. Our passion for animals is clear in everything we do, including our daily email journaling to connect you with your pet while you are away and tailored exercise programs to keep your pet healthy and happy. Dog walks may be booked with a weekly ongoing set schedule or on an as-needed basis. We will walk your dog according to your instructions. If you have a senior dog who requires slow walks around the block, your dog walker will ensure the walks go at a comfortable pace for your dog. If you have a dog who has high energy, we will provide a more energetic exercise walk. We invite you to learn more about what we offer as a pet sitting and dog walk service in Baltimore! We are a fast growing company servicing the greater Baltimore area. If your neighborhood is not listed don't worry! We might be coming to you sooner than you think. Our goal is to be your all in one pet care service provider. We strive to make our clients lives easier and keep their pets happy and healthy. We believe in one on one care. Dogs in our care are never pack walked with other client’s pets to ensure safety and a personalized service for each client. We are available everyday, evenings, weekends, and holidays for Baltimore dog walks and cat care. Our vacation care and house sitting options are great solutions for the frequent traveler or the occasional vacation. Contact us today to discuss your pet care needs or register online on our custom client portal! Our Baltimore dog walking service will provide your dog with what he or she needs to maintain a happy, healthy, and balanced lifestyle. You can select from 20, 30, or 45 minute sessions for your pet. Discounted monthly packages are available for those looking to get at least three walks a week. Scroll down to see monthly packages. Do you have a high-energy dog? Dog Running may be just what you need! Happy Dog offers dog running sessions for those dogs that need just a bit more to burn off their excess energy.. Happy Dog cares for your pet in your home while you are away on vacation or business travel. We offer an alternative to boarding or kenneling your pet. You can rest assured that your pet is comfortable in your own home. Does your fury friend have a vet appointment to deal with her doggy-breath? Does Fido need a run to the groomer for a pedicure? Happy Dog’s pet-taxi service will whisk your whiskery buddy off where she needs to be! We charge based on the specifics of the taxi need based on distance and time. Please email us for more information if you want to make use of our services. Need your dog walked three or more times per week? Then you should consider buying a monthly package with Happy Dog. Purchasing a package helps to reserve your dog a spot on our calendar. It also offers great savings! Packages are pre-paid on a monthly basis and only available for purchase in certain areas of the city. Prices may vary based on the number of days per month. Our commitment is to provide the healthiest, most nurturing environment for your family member by giving them the same loyalty, dedication, trust, integrity, love, and care that we show our own pets. Easy Travel: None of the stress or inconvenience that comes from transporting your pet. Keep Your Friends: There’s no need to impose on your family, friends, or neighbors to care for your pet. Rely on our pet care professionals. Take a Load Off: You can have peace of mind knowing that your pet is in experienced, caring hands. Home Security & Maintenance: Your home is more secure when you’re away. Our pet sitting services also include bringing in the mail, taking out the trash, cleaning up after your pet, watering plants, and moving your car on street sweeping days. Reduced Stress & Separation Anxiety: Your pet stays at home in familiar, comfortable surroundings and receives personalized care and attention. Routine Maintenance: Your pet’s diet and exercise routines are not interrupted. Health Concerns: There’s no need to worry about the health of your pet while under our pet sitters’ supervision. We will administer all of your pet’s medications. 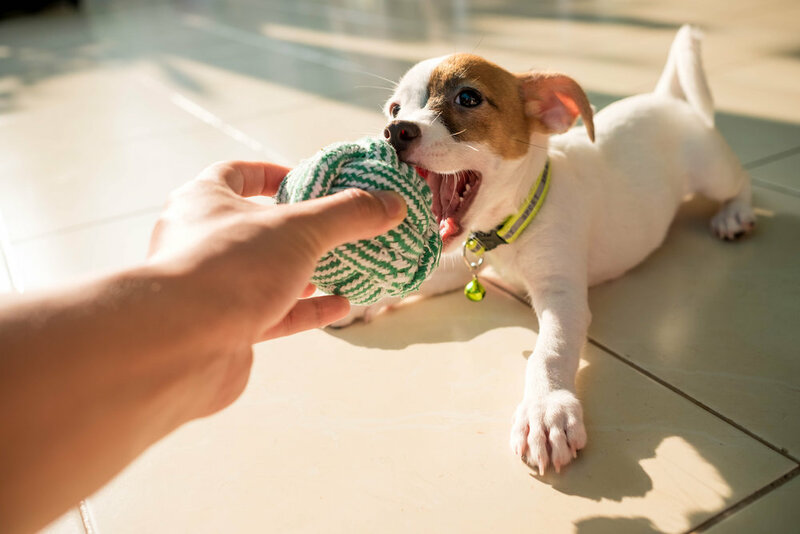 Personalized Care: Unlike boarding at a kennel, pet sitting is one on one so your family member is the center of attention with our pet care in Baltimore.